You and your team may be doing predictive maintenance – you just don’t know it yet. You may have heard the term “Predictive Maintenance” or “PdM” popping up in conversations about facility maintenance lately. It’s often mentioned discussions about the possibilities of internet of things (IoT) devices being used to monitor highly critical equipment at an entirely new level of detail. …all in an effort to reduce unplanned downtime and/or save money. IoT devices are one way to collect data like vibration, ultrasonic wave, and energy usage data. When analyzed, these data help determine optimal maintenance schedules and cost saving opportunities. IoT devices are one really high-tech way to do PdM. But cutting-edge wireless sensors aren’t required! In person routine maintenance is the simplest and most effective form of PdM and it’s probably already part of your routine maintenance plan. If you collect data from your building manually (e.g. do rounds), analyze your findings, and use what you find to justify changes in maintenance plan, you’re doing PdM. Monitoring stack temperature – A rise in boiler stack temp indicates buildup in the system and small temperature increases can cause significant loss in efficiency. Monitoring and recording the stack temperature and fuel consumption over time has allowed many of our customers to save money by rescheduling boiler cleanings based on data rather than a suggested interval from the equipment or service vendor. Doing so reduces wear on expensive equipment and increases efficiency significantly. 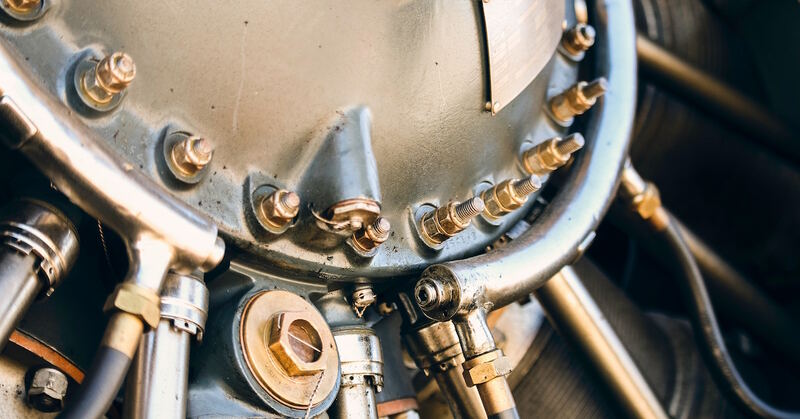 Routine oil analysis – Testing the lubrication in critical equipment for purity and analyzing the particles in your samples can gauge the deterioration of internal components can help set service intervals. Making adjustments based on this PdM data and gaining insight to the longevity of your equipment can make huge impacts on short and long term budgeting forecasts. At best, you can increase the usable life of your most expensive capital equipment, but at worst, you can get a better picture of when replacement will be necessary. General or visual inspections for the “little things” that indicate bigger issues – Many argue that BMS or similar monitoring systems can do this job. But in our experience, a couple of sensors or even streaming video just don’t compare to trained FM pros. They use five senses, a human intellect, and professional insight when they physically stand in front of building equipment. They can smell when belts start burning up, they hear the change of pitch in the pump when the when filters start to blind, they notice temperature of an area when equipment is working harder than usual, they see condensation, ice buildup, or even pests that could chew through a wire! Sensors can’t pick all that up, so even if you have them and especially if you don’t, you need to get humans in front of your equipment. These general routine inspections produce data that should be analyzed to support improvements to your building maintenance. High-tech solutions can be great, but they still aren’t on the level of experienced engineers and operators. Ultimately, your routine building rounds generate the data you need for predictive maintenance. But to see a benefit, you need to keep everything organized and make use of the data you work so hard to acquire. LogCheck makes collecting and analyzing routine maintenance data easy. Though our users may not call it PdM, that is exactly what they’re doing. If you’re interested in seeing how to start getting the benefits of predictive maintenance without covering every inch or your building in sensors and robots, fill out the form on this page to try LogCheck in your facility today.